Hiya guys! So I thought I'd start a Throwback Thursday segment where I go back and recreate a mani from the past. It can be any time from like two years to two months ago. Anything goes! The catch is I will be creating a video tutorial to go along with the recreation. So back in the first week of November I created this mani for my dear friend Heather from Heather's Hues as part of a birthday collaboration. Back when I created this mani I was very sick and so I couldn't make a video. Since the mani got so many compliments and I realized I had leftover decals I decided it'd be a good time for a redo. Confession time, in real life I actually am much more of a dog person than a cat. 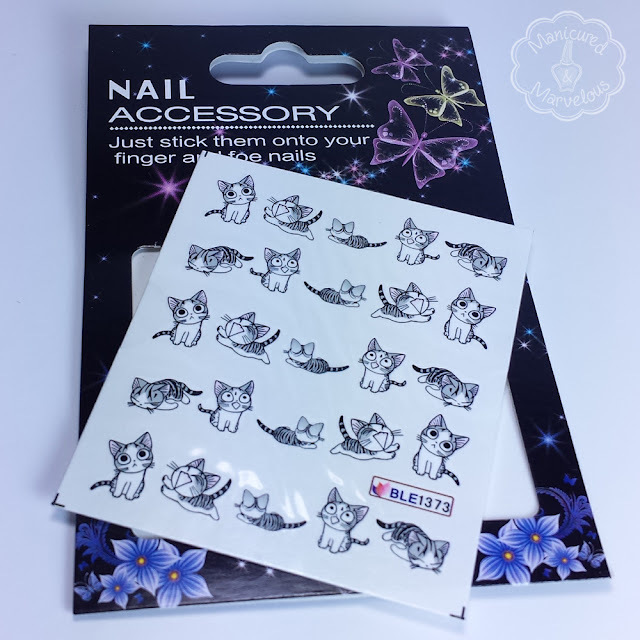 But when it comes to nail world I always tend to gravitate towards cat decals every time. I think it's something about the anime-ish kind of style that appeals to me. Maybe I just haven't found the right doggie ones, any suggestions on that? Well let's get to the how-to! Time for a total Rose moment... I actually don't know where these are from. I have looked through order historys and email threads galore and nada! I'm thinking either these were a gift from a company or I purchased them from somewhere. Of course, I didn't want to post about something no longer attainable so I did some searching and found these on eBay! They're coming from overseas so that means it'll take a long time to arrive in the states, but for under a dollar a package I think it's worth it. 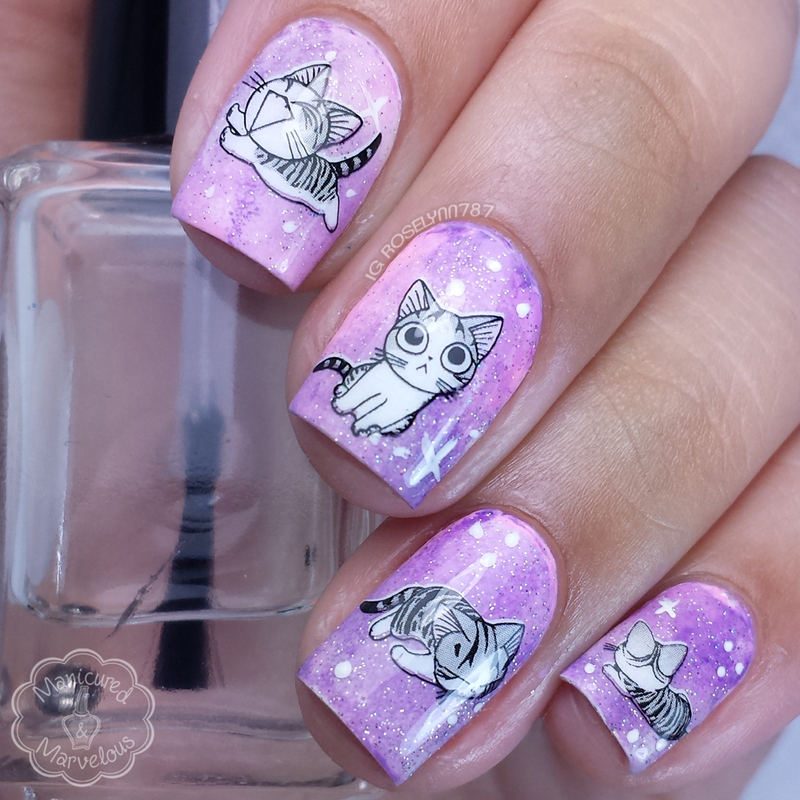 For this mani I decided that these kitties needed to be in space in a really acid-trip kind of way, haha. I know I was inspired by a mani I saw a really long time ago, but I don't remember who it was. If you do please let me know, I'd love to give credit where it is due. 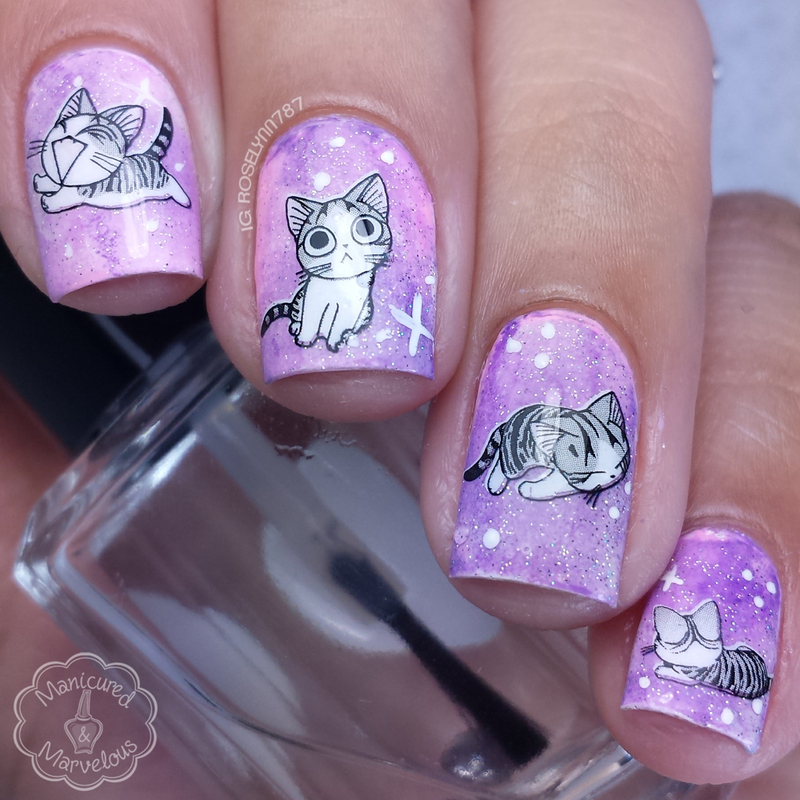 And there is a video on how to create this mani! Yes, let's put all the cats in a pastel galaxy together! It's no secret that I absolutely adore working with decals. Most of my decals tend to come from Born Pretty Store, but I will also be showing some from Lady Queen in the upcoming week. I just think decals can make really jazz up a simple technique. In this case I love how this mani turned out! It's cute, fun, and most importantly pretty easy to accomplish. I hope you guys like it as much as I do. Thanks for reading and I'll see you all tomorrow with more nail designs to share. I love this, and I don't like water decals. Thanks. I can see them not being for everyone. I am 150% a dog person but these are awfully cute! Haha yeah I definitely agree. Doggies all the way for me too. 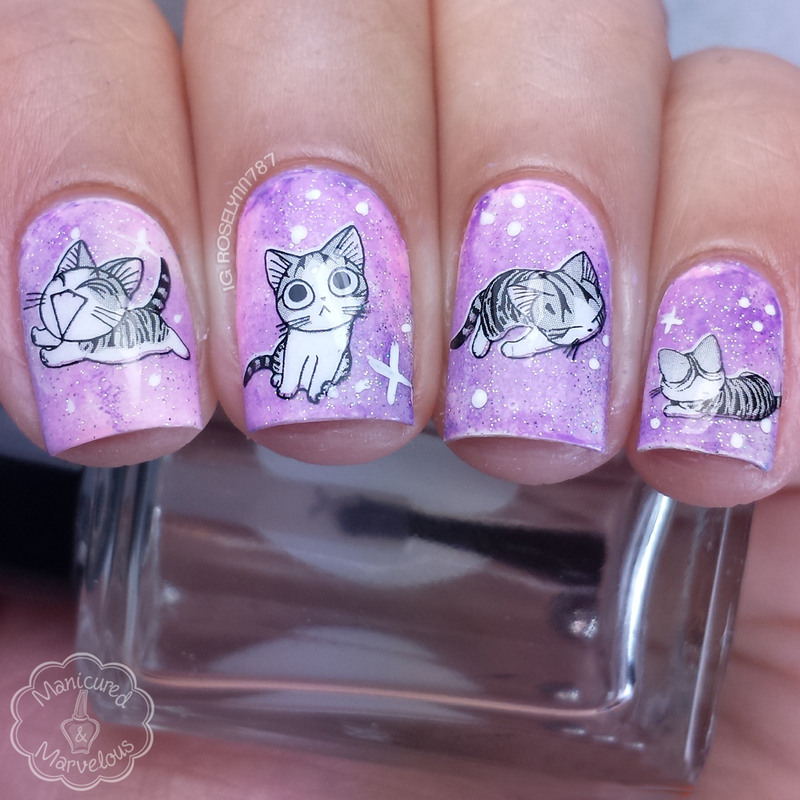 Those are incredibly cute nail arts. Those decals are too cute! Yay cats! Lol. This mani is really adorable! Oh my, this is too cute! Thanks for the tutorial! No problem! Glad you liked it and hope you found it useful. Hooray for cats! I love these! Haha, thanks I'm glad you enjoyed them.